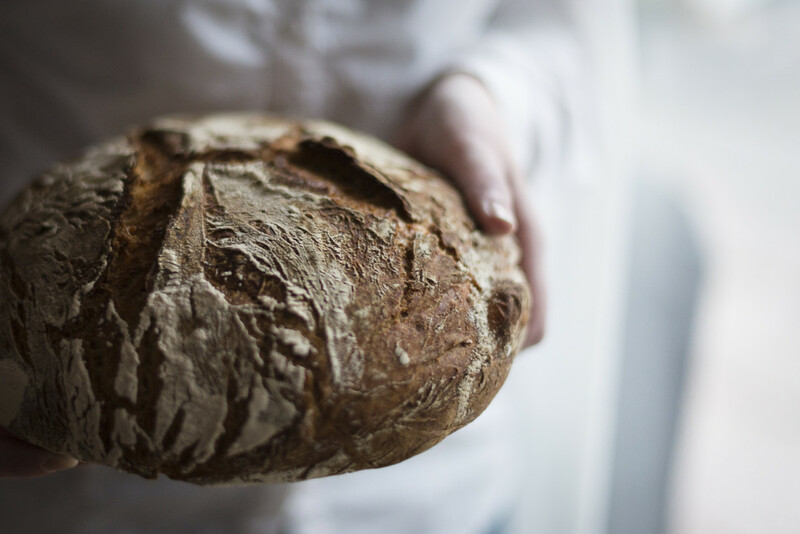 There are only a few things that are as essential as a loaf of bread. For me the last home baked bread, made with my own sourdough, is already too long ago. Fate seemed to be against me, killing first not only my first rye sourdough, but also its successors, and soon after that the wheat starter followed as well. So yes. I needed fresh dough. 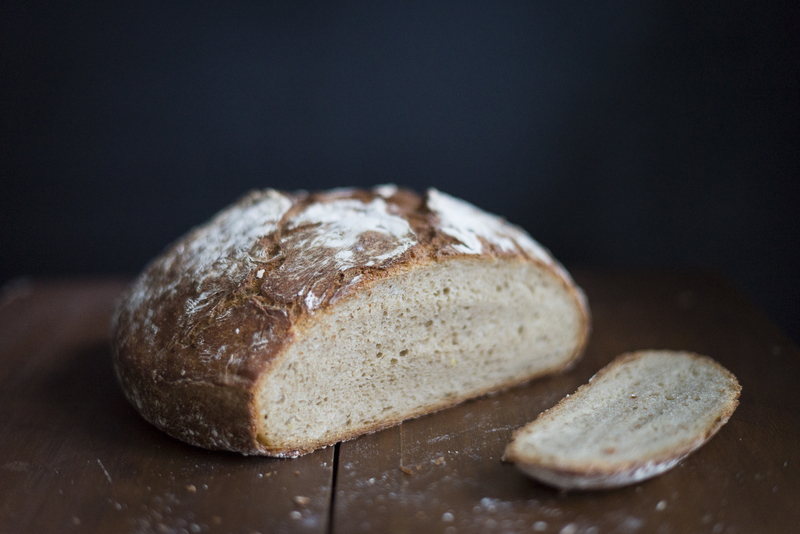 Because self-made bread is a delight that can hardly be explained. And so one beautiful day my new sourdough starter was finished, and ready to be to a good use. His name is Eren… let’s see how this one will turn out. My fingers are crossed! The bread that we are baking for Lena today is a mild one with mainly wheat. The adding of potatoes gives the bread a wonderful juiciness that helps making it stay fresh longer. The crust is not too thick and not to thin and the crumb is amazingly soft and fine pored. A perfect companion for cheese and a new favourite. Mix the ingredients for the sourdough in a bowl, cover it with a lid or cling foil and let it rest for 20-24 hours at room temperature. On the next day peel the potatoes and mash them thoroughly. Add the remaining flour, the water, the yeast and the honey and mix it with the kitchen machine for 5 minutes on the lowest setting. Add the salt and mix another 5 minutes. The dough is very soft and will be steadied by the pot during baking anyway. But if it seems to be too runny add 1-2 tablespoons of additional flour with the salt. Cover the bowl again and let the dough rest for 90 minutes, whilst folding or rather kneading it once to the middle of the bowl after 30, 60 and again 90 minutes. Now get the dough out of the bowl and roll it around in 1-2 additional tablespoons of wheat flour so it it covered generously and put the flour dusted dough back into the bowl. Cover it again and let it rest for 60 to 90 minutes once more. 30 minutes before the resting time is up put an iron cast pot including the lid into the oven and preheat it to 250°C. Get the pot (caution: very hot!) out of the oven and cautiously let the dough drop into it. 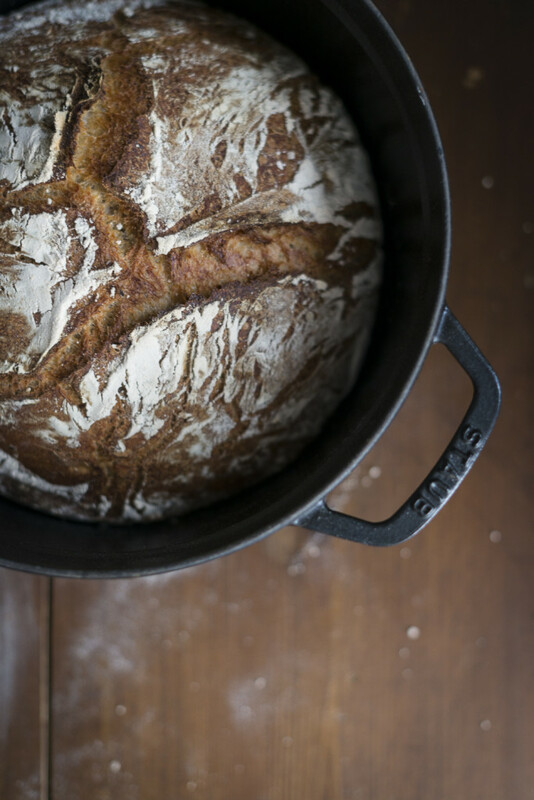 Cover the pot again with the lid and bake the bread for 30 minutes at 250°C. After that time switch down the temperature to 200°C and bake the bread for another 30 minutes. For a nicer crust remove the lid during the last 15 minutes of baking. Turn the bread out of the pot and let it cool down on a cooling rack. Preparing the sourdough and letting it rest for 1 day. Day 2, afternoon and evening: baking day! Making the main dough and baking. 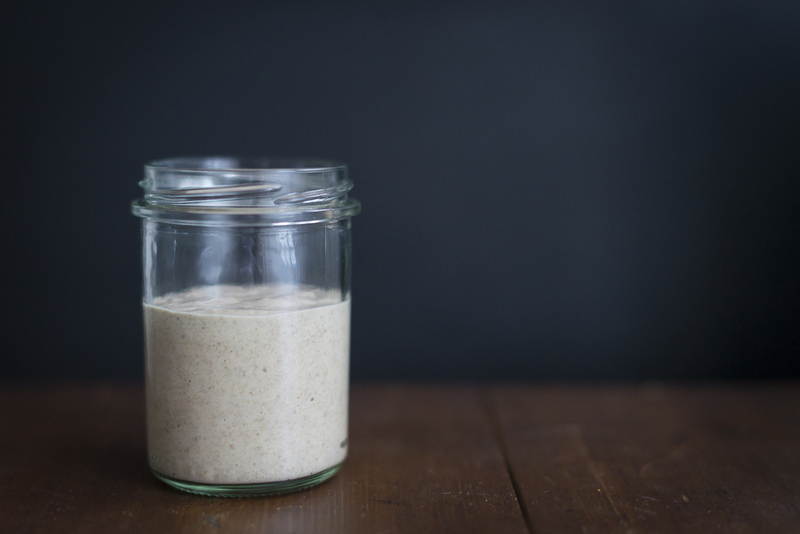 To make yourself your own sourdough starter you only need water, rye flour and a few days in a row in which you will be at the same place at the same time of the day. And an airtight jar, alongside a small place in your fridge for that exact jar. Maybe even a name for your new baby, but that is not too necessary. Day 1: Mix 10 g rye flour with 20 ml water, cover it airtight and let it rest for roughly 1 day. Day 2: Add 10 g rye flour and 20 ml water, mix it, cover it airtight and let it rest for roughly 1 day. Day 3: Add 10 g rye flour and 20 ml water, mix it, cover it airtight and let it rest for roughly 1 day. Day 4: Add 10 g rye flour and 20 ml water, mix it, cover it airtight and let it rest for roughly 1 day. Day 5: Add 10 g rye flour, cover it airtight and let it rest for roughly 1 day. Day 6: Congratulations! You just made your first sourdough starter! Put it into the fridge and use it for baking. For example as followed.